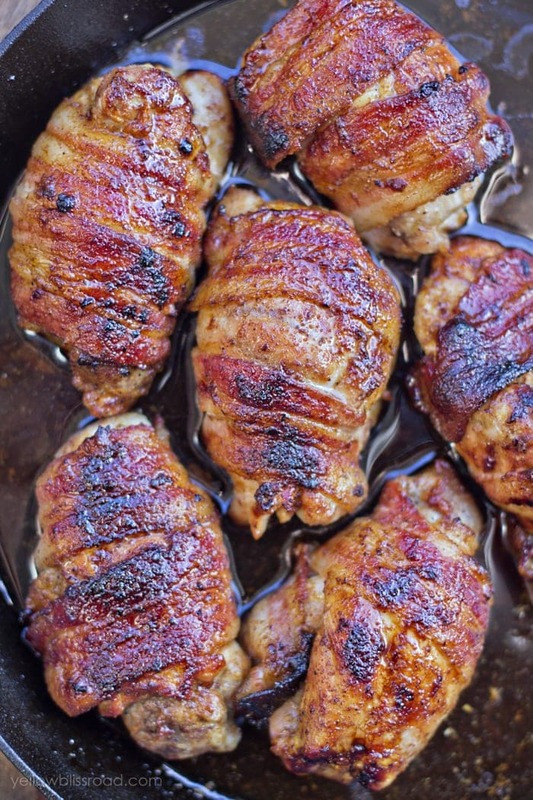 Boneless, skinless chicken thighs are wrapped in smokey bacon and marinated in a delicate blend of honey, ginger, garlic and soy for a deliciously easy weeknight meal! 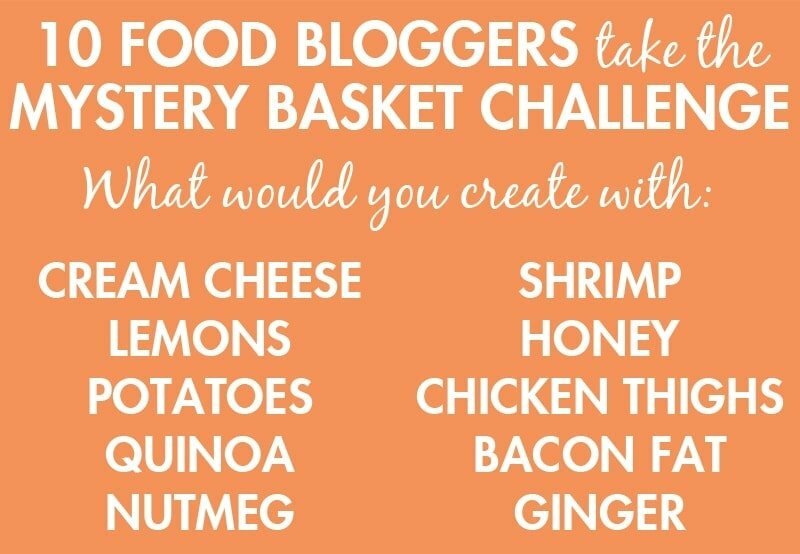 I am so excited to share this recipe today – Ten bloggers have come together in a “Chopped” style Mystery Basket challenge! Ten food bloggers each added an ingredient to the “basket,” and we each had to choose at least three items and use them to create a spectacular dish. I am so impressed with the creative ideas that came through! Don’t these look amazing? 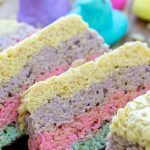 When you’re finished reading my post, be sure to click around and save all the other recipes as well. 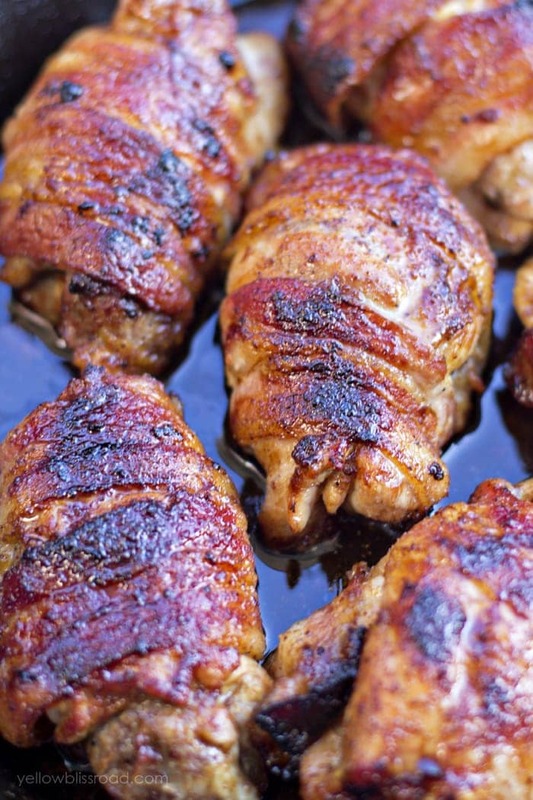 I used four of the ten ingredients in my recipe – Honey, Chicken Thighs, Bacon fat and Ginger. This recipe is so easy. It starts with bacon. And really it could end there, because, well, BACON. But, you want to continue because I promise it will get even better. So anyway, start with six boneless, skinless chicken thighs and 6 slice of bacon. 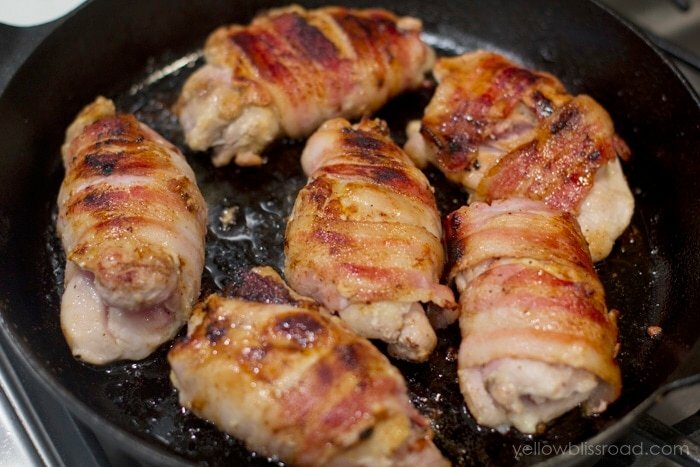 Wrap those slices of bacon around the chicken thighs. I kept the thighs kind of folded as I wrapped them and I didn’t use toothpicks, but it probably would have been easier if I had. This would be great for stuffing with a vegetable, too, like asparagus. Oh hey, more bacon? 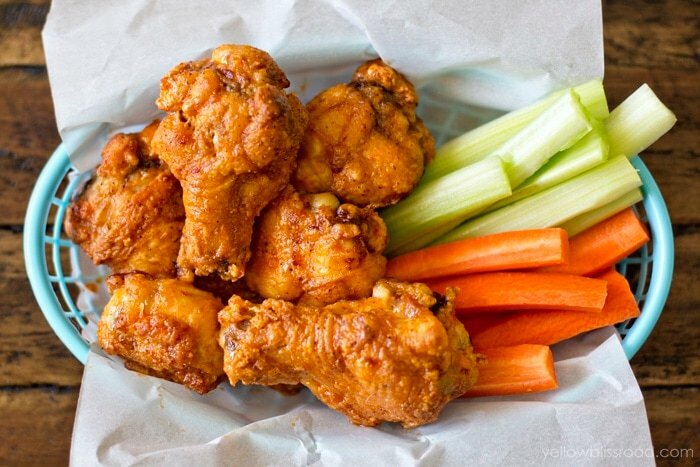 Mix up a yummy marinade of honey, ginger, soy sauce, garlic, salt and pepper and olive oil and let the chicken pieces marinate in the for a bit, flipping them after 10 minutes of so to absorb the marinade on both sides. Heat a tablespoon or so of olive oil in a heavy bottom, oven safe pan. This is where I really love to use my cast iron to soak up the flavors of the bacon. Cook for a few minutes per side to let the bacon get a little crisp on the outside. You could skip this step and just go longer in the over, but the bacon doesn’t crisp the same and no one likes wimpy bacon. You can use your tongs to turn the pieces on their sides for a few seconds to render them out a bit too, and spoon some of the sauce over them as they cook. Now put those bad boys in the oven and let them cook til they’re done, about ten minutes or so. Since there isn’t a bone, they cook quicker, however because they’re folded, you need to make sure they’re cooked all the way through. Aren’t they beautiful? 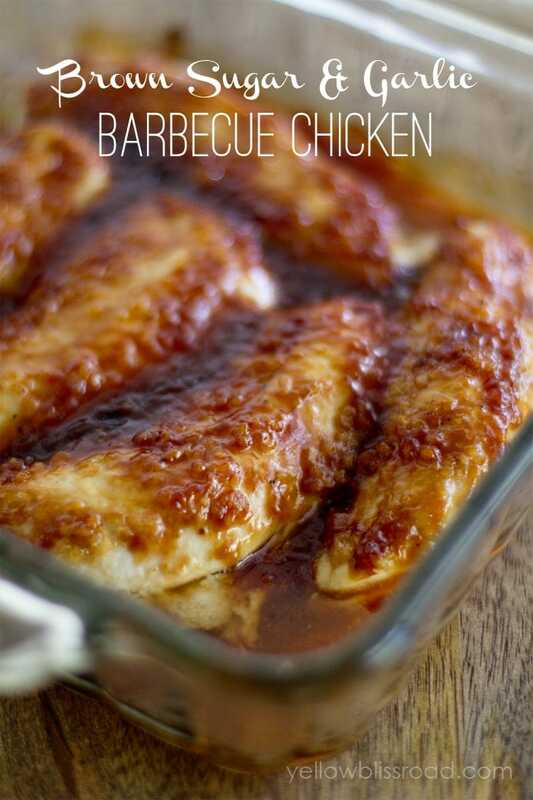 As soon as they come out of the oven, spoon some of that beautiful sauce over them again and serve them right away. They go well with rice or pasta and some yummy veggies. Be sure to save that sauce and use it on your side too! Combine all ingredients for marinade except bacon and chicken in a shallow baking dish, about 11"x8". Rinse and pat chicken dry. Keep folded and wrap with bacon slices. Secure with toothpicks if desired (just remove them before putting chicken in the oven so they won't burn). 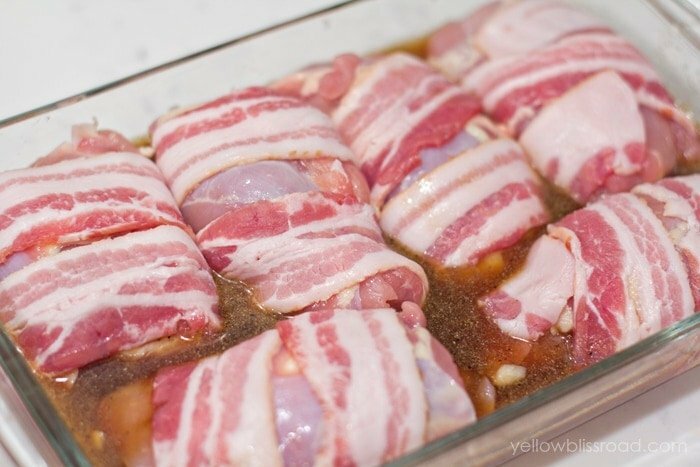 Place bacon wrapped chicken pieces into the marinade for 20-30 minutes, flipping halfway through to marinate both sides. Preheat oven to 400 degrees. Heat 1-2 tablespoons olive oil in a heavy bottomed, oven safe pan over medium heat. Cook chicken pieces until bacon starts to crisp, about 3 minutes per side. Poor remaining marinade over the chicken and slide the pan into the oven. Cook for about 10 minutes, or until chicken is no longer pink. Don’t forget to stop by and see what my friends made with this challenge! 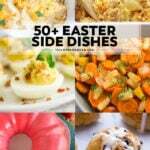 For all main course recipes, go HERE and for a complete list of recipes go HERE. 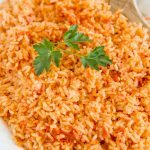 Here are two recipes to try. The slow cooker is a real winner and super simple. The Pan Roasted one *can* come out a tad dry if it’s overcooked, which is easy to do. 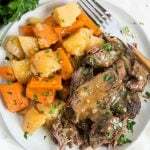 However, you could make a quick pan gravy with the drippings as gravy makes everything better! 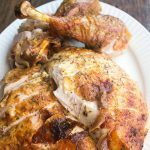 I only have Bone-in with skin thighs, will it work with those? This sounds absolutely amazing!!!. Want to cook this soon. Boneless would work better. The bone-in take much longer to cook. If you do try it, I would at least remove the skin. Is that fresh or dried ginger. Delicious! for the taste buds as well as the eyes! 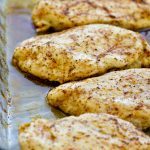 I used chicken breasts, because I had them, and they disappeared from the table. I was glad to use one pan for the whole process. Thanks for sharing. This has become a staple in our house. The only thing I changed is, I do not marinate the bacon wrapped chicken. 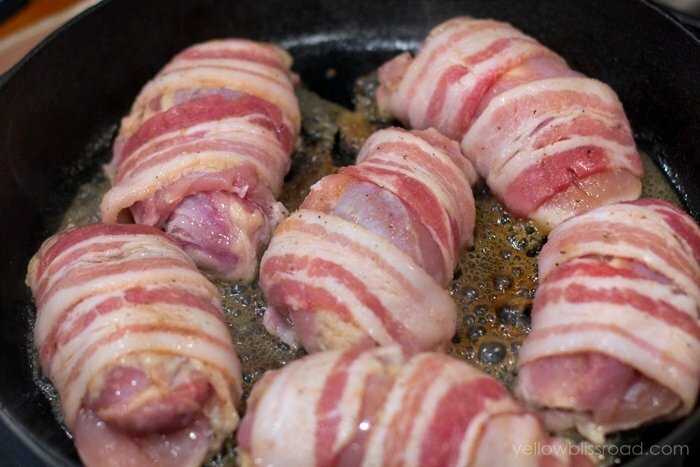 I marinate the chicken thighs and them wrapped them up in the bacon. The marinated bacon seems to stay chewy or ends up burnt because of the sugar in the marinade. Eliminating this step I then just throw the little bundles into a hot oven and back until done, the bacon always comes out nice and crispy. Thanks for this recipe! you have 12 tsp. of onion powder I was wondering if that is a typo? Please let me know , I would love to try this recipe! Yes, it was. I just fixed it. Thanks for letting me know, and good luck with the recipe! 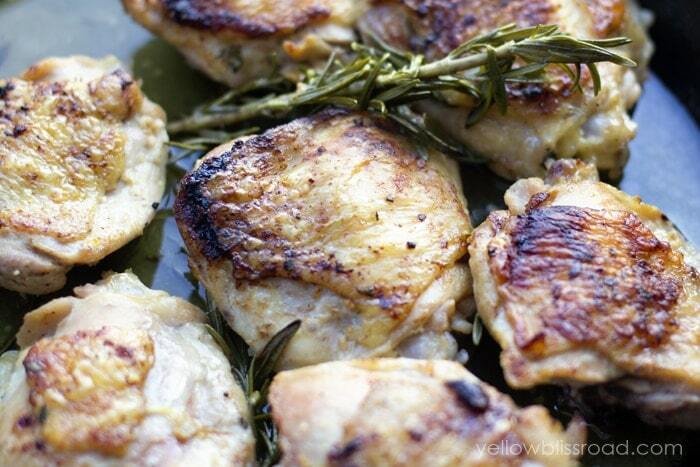 Oh my goodness, Kristin…what a mouthwatering way to dress up chicken thighs! I literally drooled the first time I read your title and saw your photos…and every time since. 😉 Can’t to wait to try this for dinner sometime! You had me at bacon! 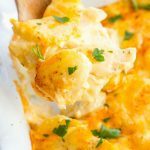 What a fabulous quick and easy weeknight meal. I need more of those in my life! 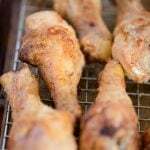 These are some amazing looking chicken thighs! I’d wrap anything is bacon 🙂 Yum! Ooh that BACON!! This looks amazing, Kristin. I want it! Yum! These look and sound so good! 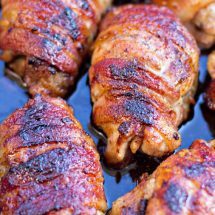 Love the idea of bacon wrapped chicken!